What is MindSumo and what do we do? What is crowdsourced innovation and ideation? 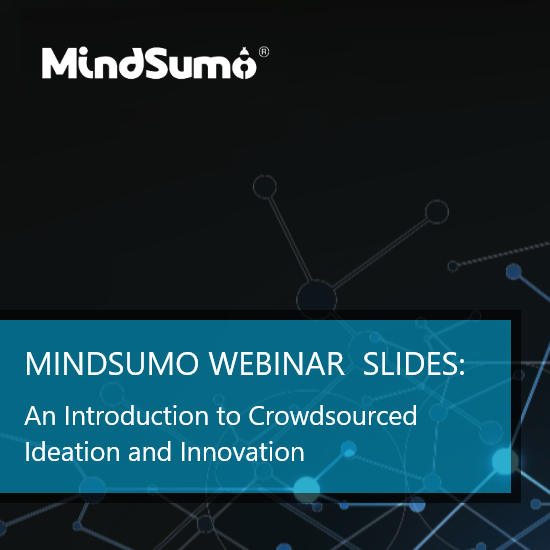 These webinar slides will give you a brief overview of crowdsourced innovation and ideation, how it can benefit companies, and how to maximize the return value on crowdsourced innovation and ideation. Please reach out to us in case of any follow up questions about the MindSumo platform and when our next webinar is being hosted.